None of this stuff is "new". Just sharing what I've been doing on my Gameshark lately, and some stuff I've never posted before. The Caverns mission also has a leftover objective in the memory called "Pursue Trevelyan". (Visible at memory address 801D52BC after loading the Caverns). It's right between "Contact Jack Wade" and "Minimize Scientist Casualties"... Bond already has 5 objectives in this mission, and pursuing Trevelyan is a bit redundant - Seeing how it's what 007 has been doing for the past few missions anyway... Still, I'm always interested to see these hidden little things. Since this door is found between the two existing Bunker doors in the memory, I replaced some of the doors in Bunker 1, and behold... It's a pretty good match, except the textures can be really weird, and look different depending on the angle that you're looking at them. Almost as if they weren't completed, or part of their texture is missing. Beta Sound Effect (value 0E). 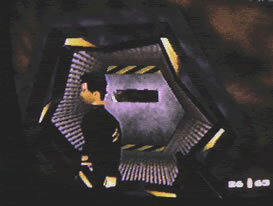 It's a cool electronic whirring sound effect, and I don't believe it's used on any of the doors in the final game. 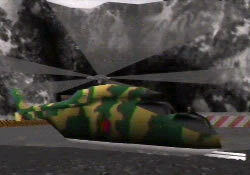 02 - A soft "ding"
The "beta" camouflage chopper (shown here in the Dam mission). I've finally gotten around to plugging in the chopper value to replace the plane in the Runway. Really cool to see the blades of the chopper turn as it takes off in the cinema scene! Shows that it was more than just a prop, and probably actually intended to be used somewhere. I call it "Guard in a Museum"... It's just a fun place to feature this unused beta door from the train. 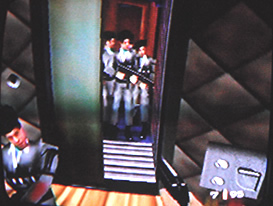 The train has regular wooden doors, and ones with breakable glass windows (values A1 and A2, respectively). There's an unused door in the memory (value A3) and it's just like the wooden door with glass, except the window is bulletproof. I like to use this door where the hidden guard is, just for kicks. He will not come out until you've practically left that train car. 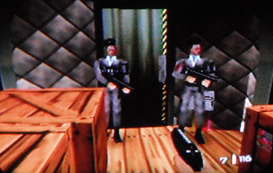 It's kinda funny to see him beforehand, even if you shoot your gun like crazy (or even use the door value A2), or shoot him through the breakable glass. No matter what you do, he won't leave the room, even if you shoot it full of holes. The wooden doors are used on every single train car door, but I never liked the look of the wooden doors on the first 2 freight cars. 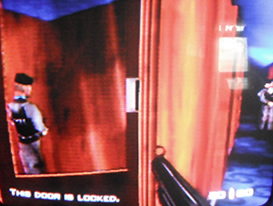 The first doors even make different sound effects, leading me to believe the first doors may have been different at one time. Decided to swap them for green Comms room doors from the Surface or the train doors from the Depot, and it's a good fit. Not necessarily "beta", but it matches the green metal of the train. Gameshark code: Change the first train car doors to green metal instead of wood. 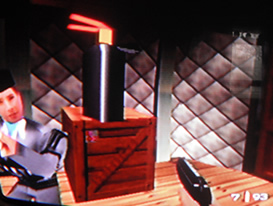 I don't believe it's used anywhere in the final game. 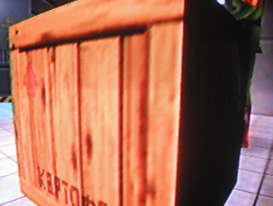 It's black on 3 sides and the top , and has Russian text on the other side. I believe that SubDrag researched some of the other text in the game, finding words like POTATOES and BANANAS, but I'm not sure what this one says. 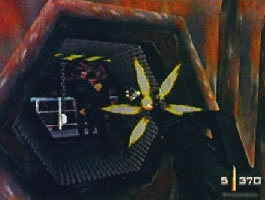 Gameshark Code - (Facility) Replace an existing crate, visible in the level intro with the guard patrolling the hallway. 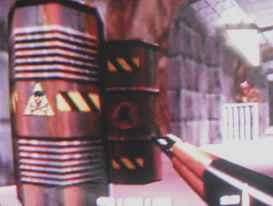 There's only one actual fuel drum prop used by the final game... But the memory actually contains 5 different barrels designs. 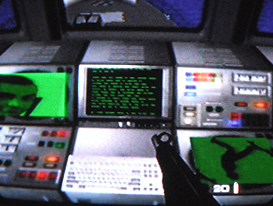 (values 3A-3E, value 3E is used by the published game). They're all similar, but it's nice to have a variety. Just messing around with the radar screens on the frigate, replacing them with alternate images... They still spin clockwise, and the the skateboarding guy looks like he's doing a neat trick.